Will Fox Finally Find Some Consistency in Marketing the Latest Wolverine Movie? When Fox was marketing X-Men Origins: Wolverine in the lead-up to its 2009 release (which went super well, as you'll remember), we were just a few years removed from the last X-Men team movie. Wolverine, as played by Hugh Jackman, was the breakout star of that series, in keeping with the character's overall popularity in the comics world. So it made sense that if the franchise were going to continue with a series of solo movies, Wolverine would kick things off. That movie, and 2013's The Wolverine, have been one of the mostly tonally inconsistent series in movies, at least in the modern era. So, with the trailer for Logan hitting the internet last week, it's a good time to look back and see how the feel of the franchise has shifted over the last seven years. There were two main trailers—one that focused very much on the creation of Wolverine and his hunt for revenge, and one that sold the movie as a team adventure, an odd choice considering this was supposed to be the character's solo outing. Both, though, still felt like the X-Men movie, with footage that evoked Wolverine's hunt for identity in those earlier films. They have that look and feel, the kind of shiny high gloss that was the style of the movies directed by Bryan Singer and (sigh) Brett Ratner. There's humor, there are explosions, there's a backstory that ties directly into the previous movies, and there's the dark brooding that had become Jackman's signature look at the character. X-Men Origins: Wolverine was sold as X-Men 4, essentially, since those movies had stories largely focused on Wolverine anyway. This is much more the kind of solo movie fans were looking for. 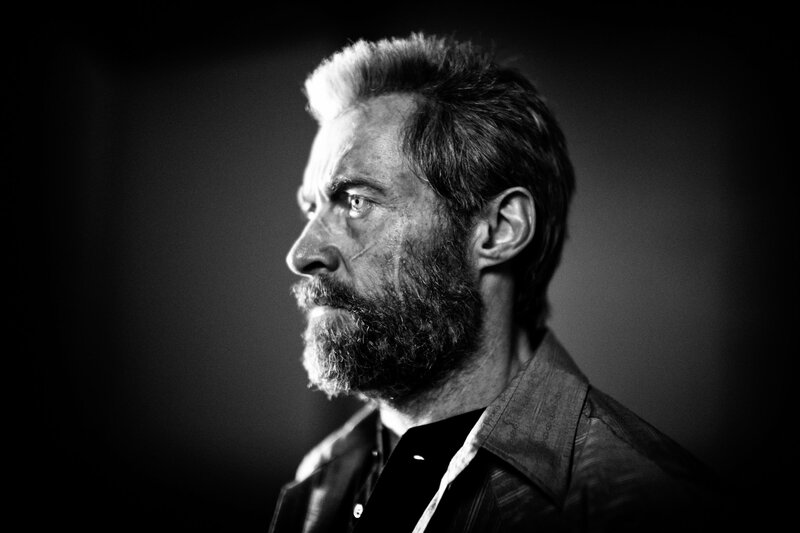 Both of the trailers present a completely independent and on-his-own Wolverine, a character who is free of much of the past that had been laid out for him. There are still nods to what had come before, of course. One trailer starts out with Jean Grey (Famke Janssen) speaking to him in a dream sequence about how he killed her (as seen in X-Men: The Last Stand, which exists), and there are multiple references in that and the other main trailer to the experiments that turned Logan into the weapon he is. But the whole look and feel is different, likely due to the influence of director James Mangold, who had a reputation as a stylish and visually interesting filmmaker. It's too early to judge the tone of the entire campaign based on just the first trailer, but it looks to be more in line with The Wolverine, which isn't surprising considering Mangold is back in the director's chair. For the first time, there's some consistency in the marketing from one entry to the next, showing a dark, gloomy story, a style that's sold through both the trailer and a series of photos that have come out over the last week. It features Jackman in all his brooding, muscular glory in another story about Wolverine's search for an identity in a world that's always passing him by.